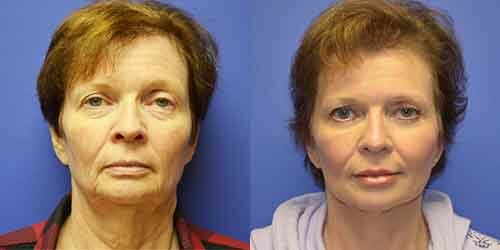 What is The Howard Lift Facelift & Mini Facelift? After 20 years of experience with cosmetic and reconstructive plastic surgery, Dr. Howard has answered your request for a facelift with less down-time and performed under local anesthesia. 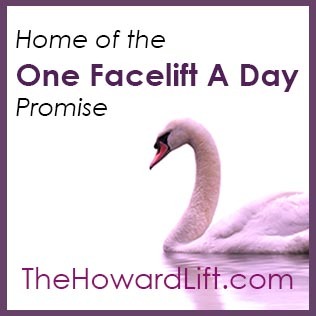 In addition, Dr. Howard has a "One Facelift A Day" surgical policy promising you are his only surgical case for that day. Dr. Howard's facelift patients get VIP treatment! Dr. Howard is one of the Nation's top plastic surgeon specializing in cosmetic surgery of the face and body. Dr. Paul Howard is world renown for his expertise in cosmetic and reconstructive plastic surgery. He is board certified by the American Board of Plastic Surgery (ABPS). The ABPS is the only plastic surgery board certification recognized by the American Board of Medical Specialties. He is a member of the American Society of Plastic Surgeons, the American Society for Aesthetic Plastic Surgery, The Dr. Ralph Millard Plastic Surgery Society, The Southeastern Society of Plastic Surgeons, and the Alabama Society of Plastic Surgeons. Dr. Howard was trained by two of the world's best plastic surgeons to ever live: Dr. Ralph Millard in Miami, Florida and Dr. Paul Tessier in Paris, France. Dr. Tessier is the surgeon who discovered the SMAS for facial rejuvenation and reconstruction. In addition, Dr. Howard is the founder and president of The NewFace Foundation, a non-profit organization that benefits children born with facial deformities. During your consultation with Dr. Howard you will actually meet with him, not a plastic surgery sales representative focused on making "a sale." Our patient coordinators are not on "commission." Your consultation will involve professional digital photography so you and Dr. Howard can develop a facial rejuvenation plan that is right for you. Throughout your facelift experience, you will meet with Dr. Howard from start to finish. Your first facelift can be a confusing process as the internet is littered with magic wands and false promises. Dr. Howard's Howard Lift is the answer for the patient seeking real results that last. Call today to schedule your individual and confidential consultation with Dr. Howard is develop a facial rejuvenation plan that's right for you. Dr. Howard is a real board certified plastic surgeon and the actual surgeon performing all procedures. Dr. Howard does not have associates or students (surgery residents or fellows) in his operating room. Please contact our Birmingham facelift office to schedule your consultation with Dr. Paul Howard. Dr. Howard and his "Plastic Fantastic Staff" look forward to helping you achieve your facial rejuvenation goals. What Makes Dr. Howard's Facelifts So Special? Shorter incision than traditional facelifts. Less down-time, patients average 7-10 days off work. No general anesthesia. Instead comfortably performed with oral sedation & Dr. Howard's "Advanced Local Anesthetic." Less pain due to less swelling and bruising. Not a "skin only' facelift, but an effective SMAS face lift. Easily performed with eyelid lift, brow lift, & neck lift. Performed by Dr. Paul Howard, a REAL board certified plastic surgeon. Home of the "One Facelift a Day" promise. Affordable, pricing begins at $4900 for a mini-facelift.